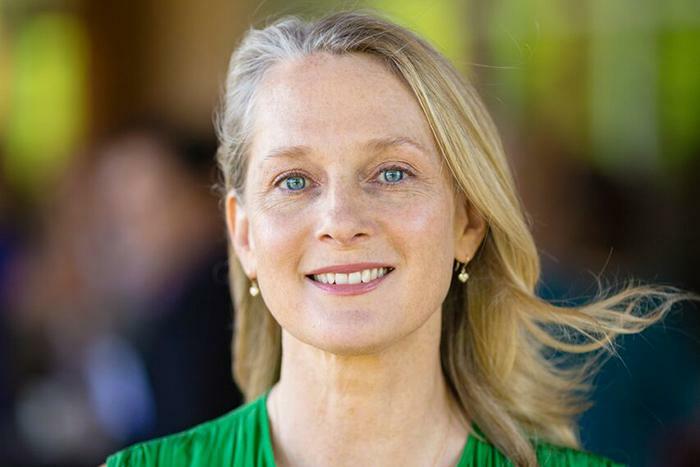 Piper Kerman. Photo by Michael Oppenheim. Piper Kerman, author of the bestselling memoir, Orange is the New Black: My Year in a Women’s Prison, which inspired the award-winning Netflix hit show, Orange is the New Black, will deliver Dickinson’s annual Poitras-Gleim Lecture on Friday, Sept. 21, at 7 p.m. in the Anita Tuvin Schlechter (ATS) Auditorium. The event is free and open to the public. Tickets are required and are available online. Kerman’s memoir details the 13 months she spent in the Federal Correctional Institution in Danbury, Connecticut, after a brief involvement with drug trafficking sent her to prison on money-laundering charges. In her book, Kerman explores the experience of incarceration and the lives of the women she met in prison, writing about their friendships, families, mental illnesses, substance abuse issues, cliques and codes of behavior. Writer and producer Jenji Kohan adapted Kerman’s memoir into a highly successful Netflix original series, which went on to win Emmy and Peabody awards. Its sixth season premiered on the streaming service in July 2018. Since her release, Kerman has worked to promote prison and criminal justice reform. She works with a number of nonprofits and philanthropic organizations, including serving on the board of directors of the Women’s Prison Association and the advisory boards of the PEN America Writing For Justice Fellowship, InsideOUT Writers, Healing Broken Circles and JustLeadershipUSA. Kerman has been called as a witness by the U.S. Senate Judiciary Subcommittee on the Constitution, Civil Rights and Human Rights to testify on solitary confinement and women prisoners, and by the U.S. Senate Governmental Affairs and Homeland Security Committee to testify about the Federal Bureau of Prisons. Kerman frequently speaks to students of law, criminology, gender and women’s studies, sociology and creative writing. Her work also includes addressing groups like the National Conference of State Legislatures and the International Association of Women Judges. In addition, Kerman teaches writing in two state prisons as an affiliate instructor with Otterbein University in Ohio. The annual Poitras-Gleim Lecture was endowed by a gift from Ted and Kay Gleim Poitras '53 and provides a forum to explore and promote cross-disciplinary thought and communication. The Student Senate Academics Committee organizes and oversees the Poitras-Gleim Lecture and is tasked with fostering vibrant campus discussions about academic and political issues through seminars, lectures and debates. Previous Poitras-Gleim lecturers have included Mae Jemison, the first African-American woman in space, actor David Oyelowo, feminist writer and activist Betty Friedan and “Star Trek” icon George Takei.